This disc might originate from 11 or 18 May 1971 (see the history below). However, this is on an early label style (through mid 1969). John Barrett lists reel E94024 as 24 August 1964. However, that reel number should place it around mid 1969. A likely scenerio would be that the tape remained in the U.S., at Capitol, and was finally sent to E.M.I. sometime in 1969. Perhaps that is the origin for the dating error on E94024. Someone at E.M.I. (or perhaps John Barrett) was not accurate about the date of the concert. Likewise, it seems likely the same scenerio could apply to the 1965 recordings on reels E103120-22 (listed below). This is likely the source tape for the 1964 Capitol acetates. NOTE: Barrett does not list a date for this reel. The date, location and producer are referenced from Lewisohn. This acetate certainly originates no later than this date. 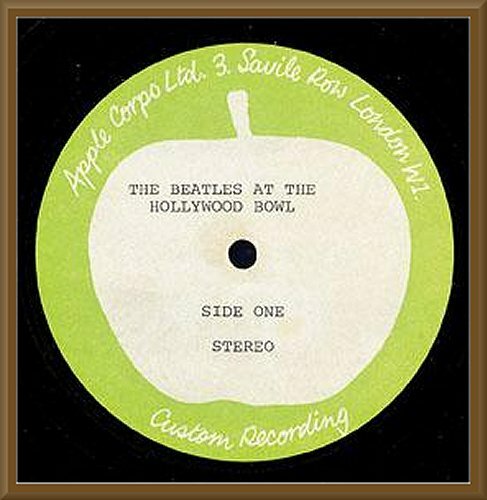 See the 1977 acetate here for the complete Hollywood Bowl history.